fair price. Let us help you with your order today. 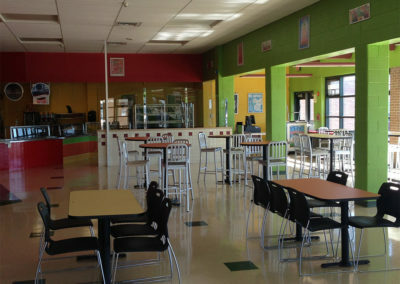 Cafeteria furniture: tables, chairs & more. 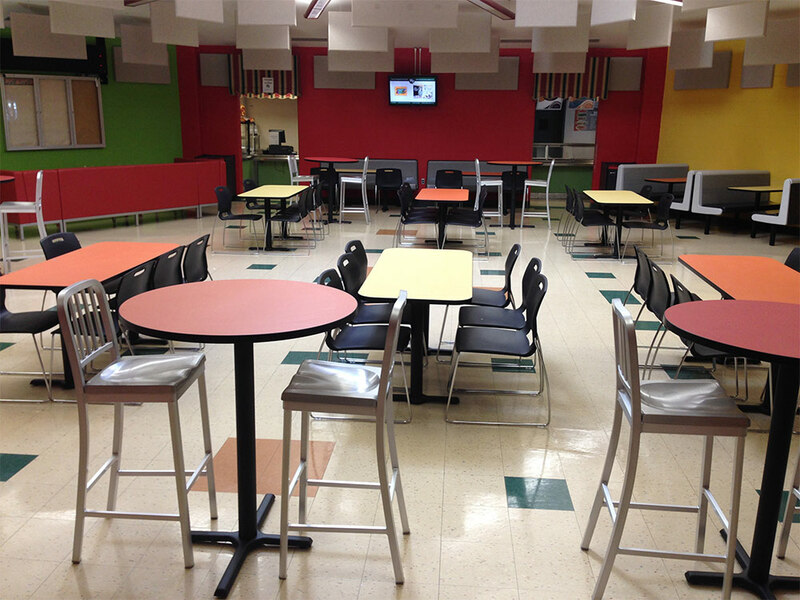 A.T. Equipment Sales understands that school cafeteria furniture should be stable, yet versatile. 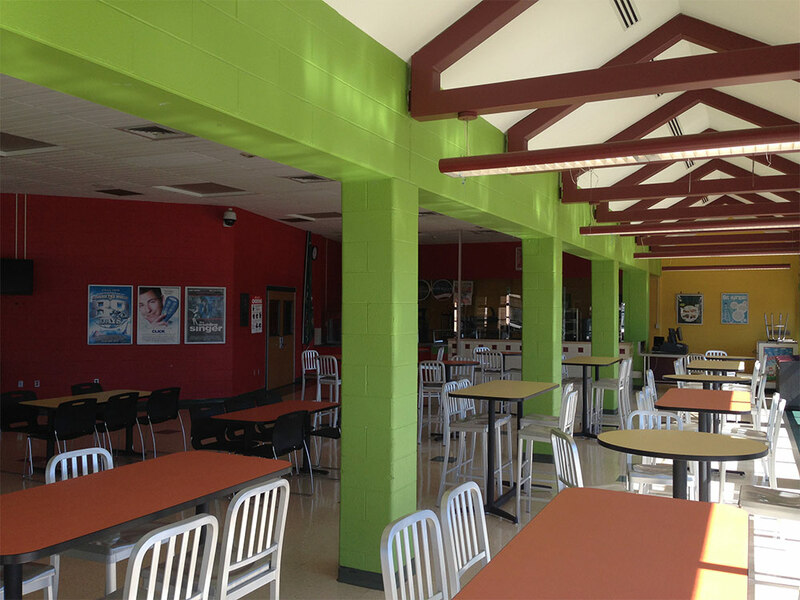 Often cafeterias are multi-use spaces; and so, they should be easy to convert for the next usage. We sell cafeteria tables with wheels so they easy to break down and store. 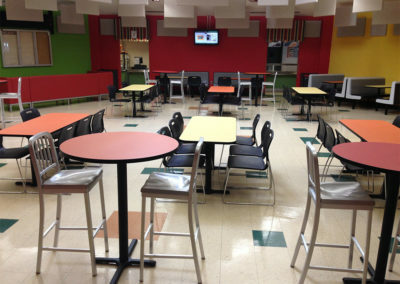 We also sell cafeteria tables with attached seating, so there’s no need to stack chairs! All your cafeteria furniture needs in one place. 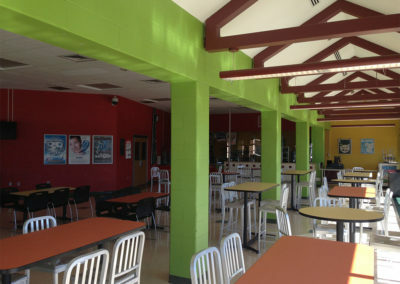 Outside of lunch, most cafeterias mixed-use – from indoor play areas and award ceremonies to science fairs and after-school activities. Our customers love the option to fold up a school cafeteria table and roll it away to storage or up against the wall, so it’s out of the way. For tables without fixed seating, the school cafeteria chairs can be stacked, which is also a nice option for cafeteria seating. 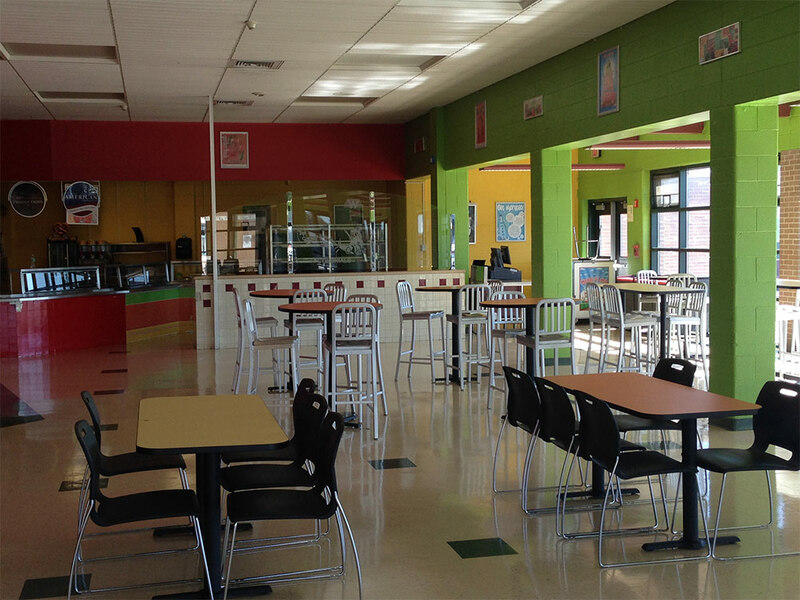 The different lunchroom table options have seating attached- bench seating or individual seating – all in 1 table. For tables with cafeteria chairs, they also have multi-use, which is nice to use the seats for other purposes such as craft shows and school dances. 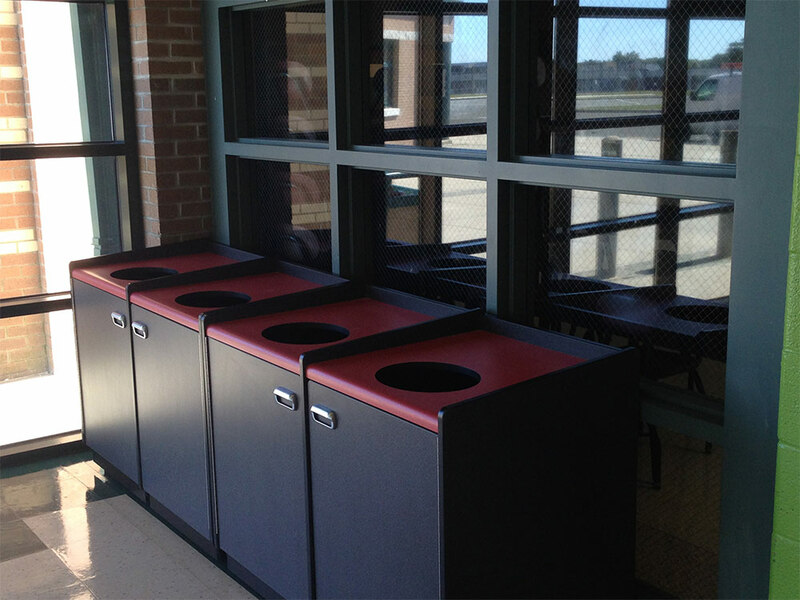 Our manufacturers carry a variety of school cafeteria furniture, a wide selection of colors and sizes. Not all spaces are built the same, so we don’t use a one-size-fits-all approach, we layout and design the perfect cafeteria. Since there is no installation required, we’ll ship East coast to West coast and everywhere in between. 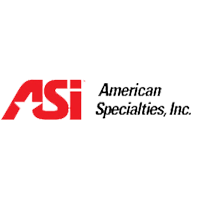 If you’d like us to meet you at your school, college or university, we are happy to do so. 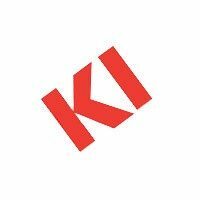 The following counties are accessible to us Orange County, Westchester County, Sullivan County, Suffolk County, Dutchess County, Nassau County, Putnam County, Rockland County and Ulster County. 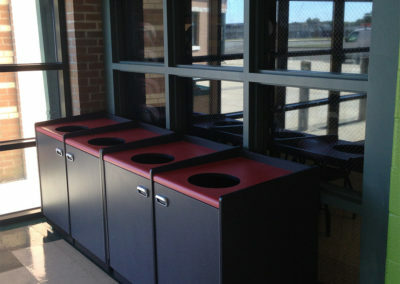 Let us help you with your cafeteria furniture today, we look forward to hearing from you! 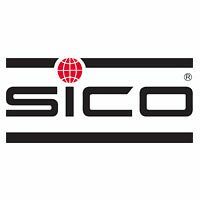 SICO cafeteria tables are perfect for any school cafeteria that needs seating. Shown here Communicator model. 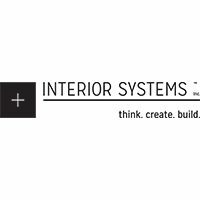 ISI makes excellent products for cafeteria settings – from design to production. Shown here Modena series booth.